I pay for my data to be backed up nightly to the cloud. At the end of each day the Crashplan software compares all the folders and drives I’ve selected and looks for new, or updated files, and then uploads them to the cloud. Whew. What a load off my mind. I used to run comparison software manually across my network and back up to external drives and computers. I had that set up so it only took a few clicks. This way should one of my hard drives decide to not spin-up one day, I haven’t lost data. Though… what would happen should a fire take out the house? No off-site backup. Gulp. It was a risk I couldn’t take with hundreds upon hundreds of hours spent creating some cool designs and stuff. Well twice in the past 2 weeks Crashplan has saved me a good amount of time. And I should insert here as well Crashplan hasn’t just saved me these two times, but rather on average once, maybe twice, each month. Here’s why. I was updating some websites with some data that was sent to me. No big deal as this happens monthly in this case. I receive the data, update the content and graphics, and call it done after some hours. Well after doing the work today I get a message, “Oh don’t use that data it was all wrong.” Urrrrrch… giant back-peddle. I hadn’t begun by saving a copy of the file which I often do when I start something new. In this case it was a routine thing. Something I knew and was very familiar with. I wasn’t going to screw anything up. And I didn’t. But what was sent to me was wrong to begin with. Double-click Crashplan in my system tray. Click Restore Files. Pick the individual files I had updated. Click restore to original location. Done. I had my old copies of those files back in place in a matter of minutes. Before Crashplan I had mostly thought of cloud data backup as a place to “stick” my data. But not so much as a service to individually pick files, or previous versions of files, that would allow me to undo any changes I made locally. We shoot videos each month. And their large in size. So, in they go, into an aptly named 2015-08 monthly folder, etc. At the end of the year I take all the folders for the year and stick them in a NEW folder called 2015. And therein is the issue. If I have hundreds of gigs of data up in the cloud, comparing nightly with my local computer, what happens when I drag-and-drop locally all this data, and move it into either another location, or a completely new folder? The way I suspected things were going to happen was Crashplan would see the missing folders and wipe them out. Then they would see the newly created 2015 folder and upload that whole thing. Yikes. Just my yearly archiving would require hundreds upon hundreds of gigs to be re-uploaded even though the data was all ready stored in the cloud (just in a different folder location). This prospect has my ISP salivating over my bandwidth overage for the month. Enter “de-duplication”. I was so pleased and astonished that the Crashplan software actually picks up the “same file data” even though it’s in a different structure, and just swaps the structure (folder) names and none of the data actually moves. WHAT?!? Yes, that’s right. No uploading or downloading. Just smart software engineers with a little foresight. In my experience it’s certainly not the norm nowadays that one is overly impressed with service. Well Code 42’s Crashplan software has totally impressed me for how I use it. At $5 a month I am more than happy to fork some bucks over for the savings and awesomeness their service provides. That’s it from my end. I’m sold. And now I’m telling you that you should get on-board. CrashPlan has the following list of features. It can backup data to remote servers, local systems, and external devices like thumb drive, USB hdd etc. The data will be encrypted using 448bit encryption, and also you can protect the backup data with password. It offers native mobile apps, so that you can access your digital contents anywhere using your Mobile devices. CrashPlan consumes minimal CPU usage, and the CrashPlan service will be running on the background, so you can do your regular work on your computer without any interruption. If your backup is interrupted for some reason, the process will be automatically resumed after your Computer available. If your external device is full or you want to attach another hard drive, you don’t have to run the backup from the beginning. It will start backup process where you left it. You can define what files go where, and how often. So that you can backup important files to a particular and preferred location. CrashPlan will notify you the backup status via Email, and Twitter alerts. So you can keep an eye on your data all time. CrashPlan Central Cloud offers deleted file protection, so you can get your data back even if your data is deleted from the CrashPlan Cloud. The notable service of the CrashPlan is seed drive. If you have large amount of data, and want to backup them immediately, you can get a seed drive drive with instructions for backing up your files locally. Simply return the fully-loaded seed drive and CrashPlan support team will jump start your backup for you. 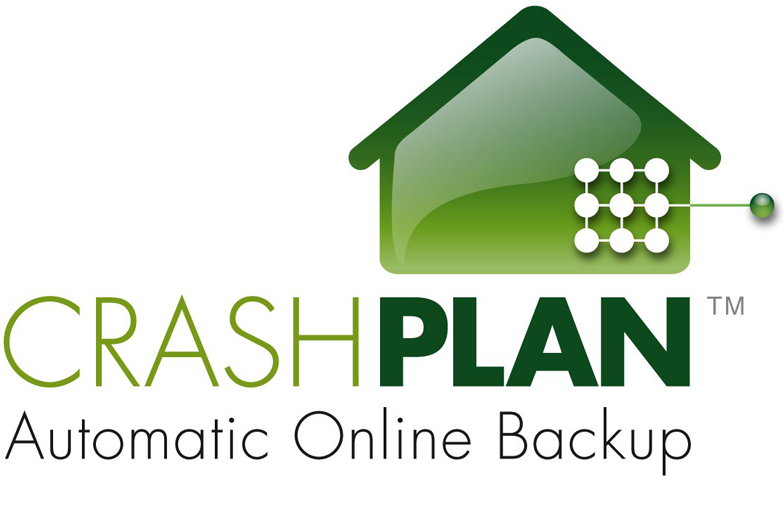 CrashPlan offers Restore-to-door priority recovery service. using this service, you will get a hard drive with fully loaded data, so that you can restore all your data locally in a few hours. CrashPlan will back up your most recent files first, then makes sure you have a full backup at one destination as soon as possible. Visit Code 42’s website to see more about Crashplan. In fact, I never even touched on the many more features their service provides. Go check and I think you’ll be impressed.